Think of St Tropez, and you'll likely imagine designer shops lining broad, sleek streets, while leathery millionaires arrive in their super yachts. That's how I always imagined St Tropez, I must say. I didn't expect a small, rambling town that feels more like a French fishing village than a millionaire's playground. Sure, it's a town with more than its fair share of bling - you'll find every designer label in town, and those shiny yachts do line up in the harbour - but it has enough charm to drown that out. Take the designer shops, for instance - stores like Gucci and Prada are tucked into traditionally French buildings, complete with shuttered windows, surrounded by ivy. 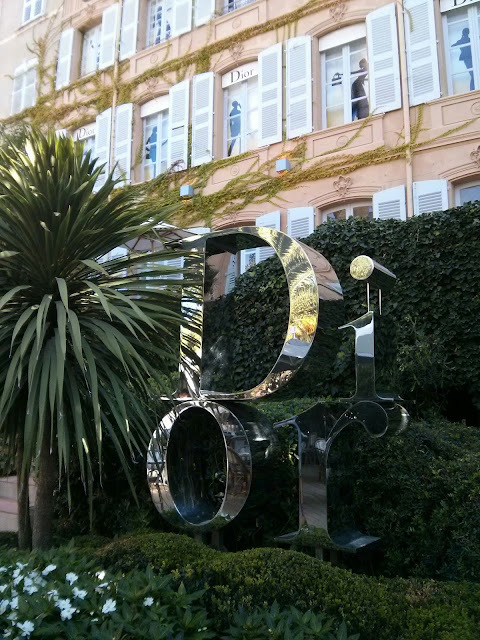 And the Dior store is a world unto itself - sit in the gorgeous gardens with a coffee, if you don't want to browse. 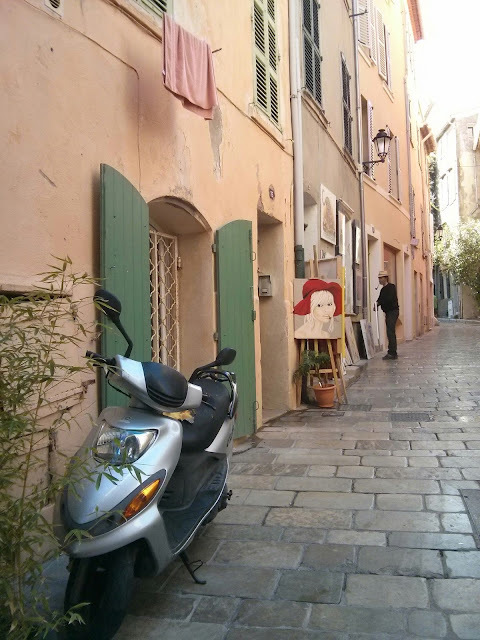 While St Tropez is a great little town in which to take a wander, it's always a good idea to stay somewhere that's a little removed from the crowds. Last September, I spent a couple of nights in Villa Marie, a gorgeous boutique hotel just a few minutes drive from St Tropez itself. With the feel of an Italian villa rather than a hotel, it's surrounded by pine trees and flowerbeds, with gorgeous views over the Bay of Pampellone. The grounds are staggered, to make the most of the scenery, so you can gaze out at the sea while you take a drink on the terrace, or dip in the swimming pool. 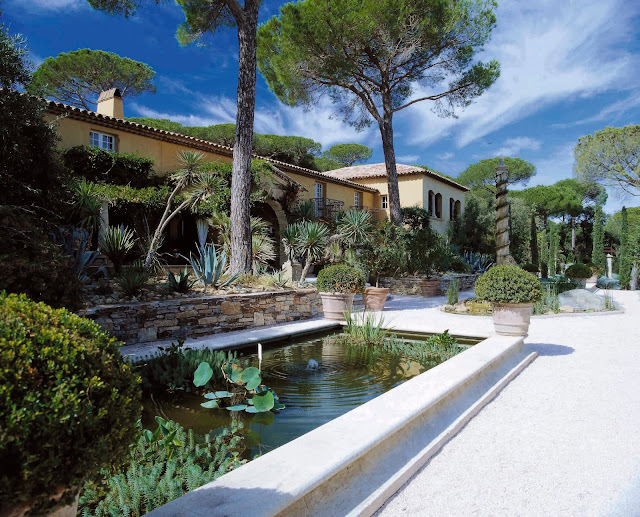 While St Tropez is close (and the hotel organises regular transfers to and from the town) you could easily spend all your time within the walls of the hotel. This isn't my usual style, I must say, but boy, would it be easy to do. Mostly, this is down to the food. The breakfast has the kind of typically French fare that will keep everyone happy, with the added bonus of a crepe station, serving up fresh, warm crepes smothered in Nutella. The restaurant has a roomy terrace, perfect for a lunch out of the midday sun. Lounge around on the wide sofas, surrounded by plants and sheltered by parasols, and you won't feel the need to go anywhere. Especially if you order the beef carpaccio - this was so good, I had it two days in a row. 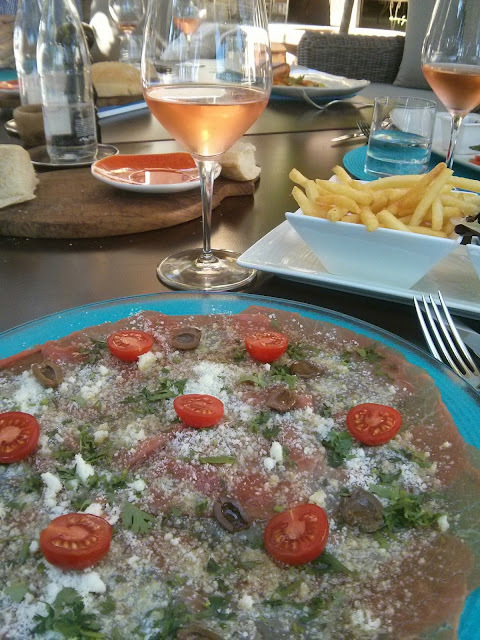 I find it hard to resist carpaccio whenever I'm in France, but this was beyond words. Perfectly thin slices of beef were drizzled with olive oil and a thick dusting of aged parmesan, and happily, it came with fries (I'd have been too embarrassed to order them, but oh, were they a good pairing). Speaking of good pairings - the hotel has its own vineyard which produces an impeccable Rosé. 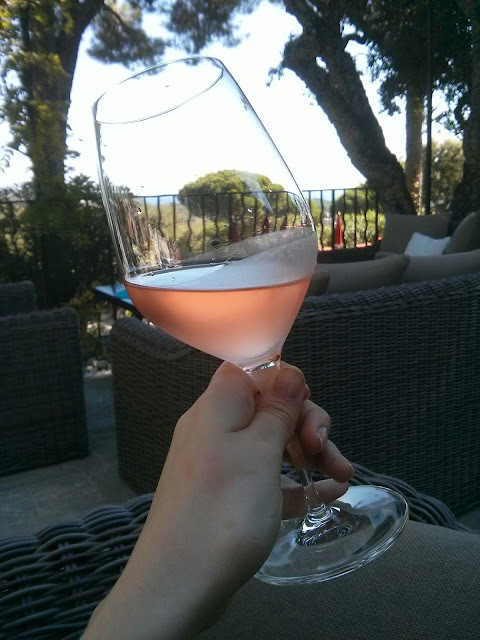 This is another of my "Only in France..." things - I only want to drink rosé when I'm in France, it's hot and the wine is a very pale blush. This ticked all my boxes. The Domaine de Marie wine is utter perfection. Rates start at €364, including breakfast. Villa Marie is open from May to October. You can see more at villamarie.fr. This place is awesome to visit. If your are not th eephotography guy, you acn hire photographer near you. You can have them at lower cost. They are hard working people and very talented. You will be astound at them. This blog has an amazing information about the destination.of every travel place you have visited.